Washington is weighing fresh trade retaliation after Venezuela’s constitutional vote. New measures may embolden opposition to President Nicolas Maduro, including from the military. There’s hope for Venezuelans, but U.S. companies like Phillips 66 and Chevron will share the costs. Venezuela's President Nicolas Maduro (L) gestures next to his wife Cilia Flores during the closing campaign ceremony for the upcoming Constituent Assembly election in Caracas, Venezuela, July 27, 2017. Picture taken July 27, 2017. President Donald Trump previously threatened "strong and swift economic actions" against Maduro if he followed through with the election. His administration has not ruled out any options, including a ban on trade or banking activity between Venezuelan and American companies. 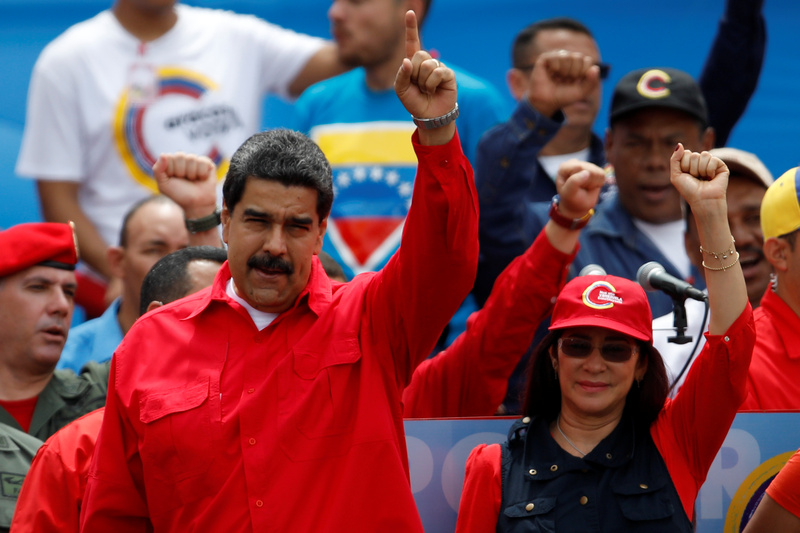 On July 28, the United States imposed sanctions on 13 of Maduro’s closest associates, including members of the government, the military and PDVSA, the state oil company. The measure froze the officials’ assets in the United States. The two countries’ oil sectors are closely linked. The United States is PDVSA’s largest cash-generating export market, and the South American country is the third-largest U.S. crude oil supplier.